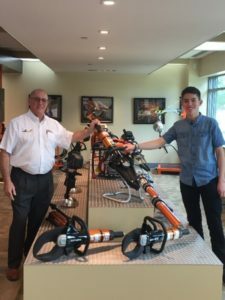 Santiago Martin, a 10th-grade student at the Rochambeau French International School, recently completed a two-week internship with RMI. During that time he researched companies and interviewed RMI Board members. Santiago was referred to RMI by a representative of Local Motors who attended the May 3rd Techtonic Shift event. Finding talented workers is a major problem facing manufacturers. This problem is intensified when you factor in the ever-increasing need for workers with higher skills due to digitization, the IOT and other Industry 4.0 emerging technologies. RMl’s Techtonic Shift initiative recognizes the disruptive impact of technology, occurring at ever-increasing speeds in today’s manufacturing operations accelerating the need for highly-skilled talent and transformational leadership in business, education and government. The Techtonic Shift Initiative focuses engaging tomorrow’s manufacturing workforce: students excelling in science, technology, math and engineering. 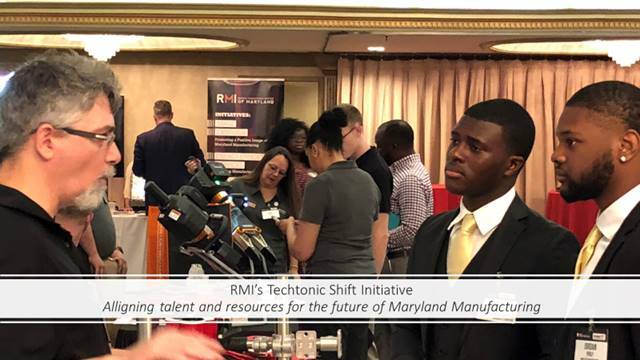 Over the last few years, RMI has engaged student STEM and technology groups and showcased their expertise to Maryland’s manufacturing leaders through various showcase events. These students are not only adept at working with robotics, 3D printing, Al, coding and STEM but they are also passionate about creating products and competing as teams on a global scale.” How do we get connected with manufacturers” was a common problem expressed by those engaged in student after school and school programs. In response to that problem, RMI recently provided matchmaking services to connect the technology teams with manufacturing companies to develop more engaged relationships. If your organization would like to work with RMI to support RMI’s Techtonic Shift Initiative, contact Peter Gourlay at RMI today at peter.gourlay@rmiofmaryland.com or 443-275-2489.